Want to know more about us? Since 2001, Action Material Handling has been providing quality forklift repair and services to Arizona. A woman owned and operated business; we have proudly established ourselves as the largest independent dealer in Arizona and have garnered a reputation in the community for providing top-notch service at an affordable price. At Action Material Handling, we take the time to learn the needs of our customers on an individual basis, so we can provide the best possible solution. We offer facility services and material handling products for industries, including warehouse, manufacturing, logistics and agencies. As a customer service oriented organization, Action Material Handling is structured to benefit our customers in their daily operations. We understand that when equipment breaks, work stops, costing your company time and money. Our mobile technicians can be on site in less than 2 hours to get your equipment up and running again, preventing costly delays. Our technicians are highly experienced industry professionals, each with a minimum of 18 years of industrial equipment and material handling experience. We perform a large scope of services within the organization to meet your needs and are extremely confident in our abilities to find solutions for even the trickiest of forklift issues. 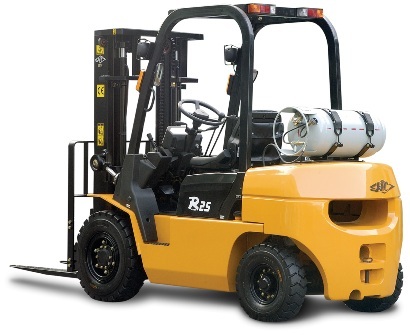 We service all makes of forklifts: electric, gas, propane and diesel from Raymond, Crown, Komatsu, Nissan, Toyota, TCM, Cat, Mitsubishi, Hyundai, Tailift, Yale, Hyster, Big Joe, Clark, Daewoo-Doosan, Jungheinrich, Linde, Taylor Dunn, Pack Mule, JLG, Genie, Skyjack, White, Tennant, Power Boss, Advance, American Clarke, Clarke, American Lincoln, Prime Mover, Dock Stocker, Multiton, Blue Giant, Baker, Barret and others. Specializing in narrow aisle, very narrow aisle, end control, swing reach turret, order picker, 3 wheel, 4 wheel sit down, cushion, pneumatic, wire guidance and line drivers. Service and repair sweepers/scrubbers, aerial equipment, personnel carriers, Dock Levelers, overhead doors, Conveyors, Stretch wrappers, tape machines, card board balers, and banding machines. We also do custom fabrication and mobile welding. Contact us to receive a custom maintenance package for your business today. © 2019 Action Material Handling. All rights reserved. | Web Design by LAUNCH.